“Take us to Chatuhshringi!” It was that time of the year again and both our girls were jumping up and down in pleading excitement. It had been a tradition since moving to Pune, India for us to attend the College Cultural Emphasis Day on October 1 as each of the cultures of India were displayed in float and dance. This was followed up by a trip to Chatuhshringi where the equivalent to a Fair Indian style took place. Now the Pune we knew in 1980 has advanced rapidly since, but in those days you could expect to see mostly rural types from surrounding villages with a smattering of city folk milling around at the fair looking at a smorgasbord of entertainments accompanied by an assortment of Hindi songs blaring in opposition to each other from hundreds of loud speakers. Similar to western fairs were the usual freak shows and throw a ball stalls, but there was a difference in the assorted magic and snake shows on display here. Many of those former remote villages are now a part of Pune as urban sprawl has overtaken. So we headed for Chatuhshringi, parked our vehicle well away from the meandering bands of village kids looking for paint to scratch their initials on and fought our way through happy crowds who were shouting “Foreigner nam kia hai?” (What’s your name?) Women lined up to pinch our girl’s cheeks as we passed by and touch their unusual light colored hair. The girls were accustomed to this by now and smiled back at the cheek pinching village women. It was the custom; it was friendly! First port of call was always the carousel. Now for those of you thinking western you’ll have a mental image of a power driven set of docile horses sitting demurely waiting to do their gentle undulating bounce around in a circle when the motor fired up. But this carousel was different and the kids loved it. The horses looked like fugitives from Dante’s Inferno with startled eyes and flaring nostrils, bodies painted in startling colors. The motor was a young lad who pushed them around at breakneck speed. Our girls looked on the western version as entertainment for wimps. Friendly touts appeared from nowhere pushing us vigorously toward their stalls where crowds milled about sampling the gastronomic delights, while hands grabbed urgently from behind seeking to delay our progress so we could see what others had to offer. The crocodile tent looked interesting so we dragged our touts in that direction. There inside the tent was a tub and nothing more. Our hangers-on accompanied us into the tent and dozens of hands retrieved squirming baby crocs and thrust them in our direction. Three thousand rupees yelled the vendor (US$ 430 at that time). “Buy one, we can keep it in our bath tub!” shouted my girls. “Take two!” yelled the vendor, and the touts all shouted in unison “two!” I smiled and pulled my disappointed kids out of the tent with the touts swarming like bees behind us loudly urging us in four directions at once. It was soon after that I felt both girls press in close and lock their arms around my legs. I looked down and saw big wide eyes staring to the side and I followed their gaze. A band of Hijras (Eunuchs) materialized in front of us concentrating on the girls who they’d noted had been scared by their sudden appearance. They’d never seen Hijras before and I could remember the first time I’d seen them in Hyderabad. It was the day Hijras customarily marched and this unusual pink painted human dressed in a sari with eyes outlined in red appeared in front of me as I was about to deliver my speech. It looked like a demon arisen from the hellish pit to me at that time, so I completely lost thoughts for my carefully rehearsed speech. Since that time I’d seen Hijras in all parts of India as I travelled so knew how to handle them this time. All they wanted was money, and of course it was a bonus to scare these two foreign girls. I paid them and they responded with groans that had the girls nearly collapsing in fear. “We want to go home,” they pleaded weakly. So I headed laboriously back to our vehicle with two small children locked firmly on board, one on each leg looking anxiously around them for signs of the feared apparitions. I’d no trouble encouraging them into the car for the trip back home. On arrival they dashed into the house and spilled an incomprehensible torrent of words to describe their experience. Pune or Punyanagri as it is sometimes called has a glorious past of nearly 1000 years. It is the capital of Pune district in Maharashtra state of India. Some of the places that are a must on every Pune visitors list are: Parvati Hill and temples, Saras Baug Peshwa Park and Ganapati temple, Shaniwar Wada the historic palace of the Peshwa, Raja Kelkar Museum, Agakhan Palace famous as the place of internment of Mahatma Gandhi and his wife. Chatuhshringi Temple famous especially during the Navrathi festival, Sinhagad Fort famous for the heroic effort of Tanaji Malusare a commander in Shivaji’s army. Balgandhary Rang Mandir famous for the Balgandhary Music festival. This festival is celebrated in honour of the birth day of Ganesh. The God of wisdom is worshipped for ten days in houses privately and also publicly in huge, decorated Pandals. The Ganapati Festival celebrations are most popular in Mumbai and Pune. In Pune, theme based decorations including giant sets and replicas of famous places of historical importance are given more emphasis whereas, idols of different sizes and beautiful features made by renowned artists is the speciality of Mumbai. The idols are usually made of clay and ornamented with bright colours. 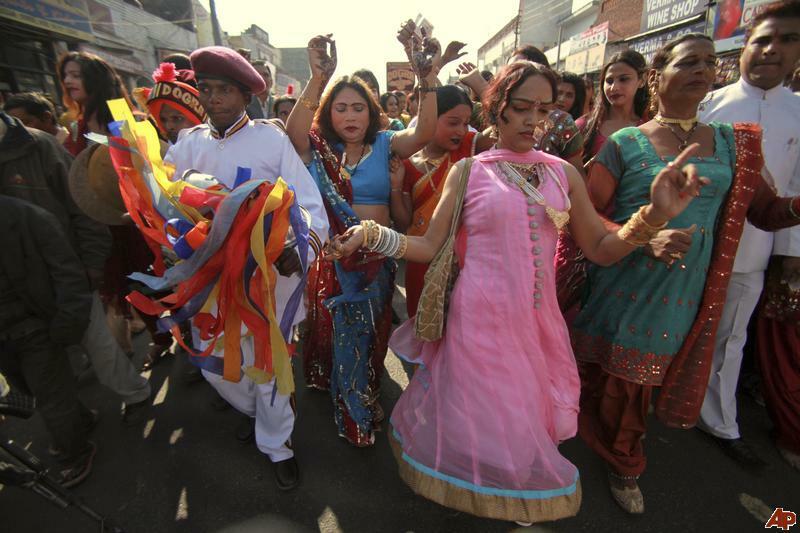 Many cultural events are organised and people participate in them with keen interest. On the tenth day, huge processions carry images of the God to be disposed of into the water, hoping for them to return early next year. When the idols are immersed in the water, people sing, “GANPATI BAPPA MORYA, PUDHCHYA WARSHI LAVKAR YA”. This festival is enjoyed by people of all ages. People visit each others’ houses to have ‘Darshan’ of (to worship) Lord Ganpati in their house. Family gatherings, meetings with people make this festival truly a cultural and social affair. The deeply religious fervour that marks this occasion is worth visiting Pune for. Previous Post New Life for Matilda. I see they learned well form their dad. lol I bet that was real scary until she confessed. What experiences you had! A life time of memories! Well I’m impressed with the stories you’ve told me of your lifetime experiences while we worked together in the Phillipines. As always when I read your memories of travel and life in foreign lands I am transported, as if I am standing alongside you. You have such a way with storytelling, it is always marvelous to simply slip in and enjoy. Thank you. I equally enjoy my sojourns on your page. oh what a lovely read. must admit have never heard of this festival, sounds fun. first time I saw a Hijra I was so scared could not sleep for days, something very intimidating about the way they speak stand and clap. They do it for attention, and of course money. I’ve read about their initiation ceremonies. Sounds cruel to me, but then I’m not Deshi so probably wouldn’t understand. I could never understand why they were invited to weddings as it was considered good luck to have them there. Perhaps you can add to my knowledge on this? today their lives are all about exploitation and abuse. Thank you for that update Soma. I understand how it originated now. Best regards. We spent 20 years there. It is a land of contrasts and sometimes life can be uncomfortable. But when you get to know the Indian people and understand ALL of the cultures that make up India you feel privileged to have had the experience. A delightful read of an outing filled with squealing wonder and, with light touches of humour and empathy. You capture these events/scenes very well, Ian. Readers unfamiliar with what you know, would find the second half of docu-info very useful. Thanks Eric, you are forever positive and encouraging. Bless you!